Our top picks feature the best tech advances in portable PCs, from new CPUs and GPUs to new materials. The laptop world is a-changing. New CPUs and GPUs—yes, mobile discrete GPUs—are creating a new generation of laptops that are thinner, lighter, and faster than ever, even gaming laptops. We have lots of news from CES to share, as well as first looks and the first few reviews of the latest mobile PCs. The first big development comes from Intel, which has stretched its 8th generation of Intel Core chips one more time to create Whiskey Lake and Amber Lake. Yes, these are still 14nm CPUs, but Intel is promising that Whiskey Lake and Amber Lake will deliver a 10-percent generational improvement in performance over the most recent Kaby Lake-R 8th-gen chips. Moreover, Intel claims Whiskey Lake is half again as fast as a 7th-generation Core chip. 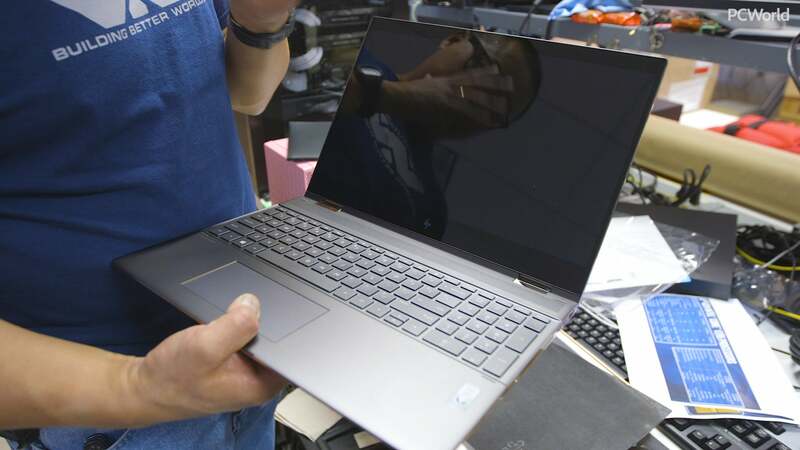 We just tested our first Whiskey Lake laptop, the Huawei Matebook 13, and we look forward to seeing more of them soon. The second big development comes from Nvidia, which announced an entire family of RTX GPUs for laptops at CES. We just reviewed our first one, the MSI GS75, and look forward to telling you more about this technology as we get in more units. Even AMD has something to say. The company announced its first mobile Ryzen systems at CES, though we aren’t sure when we’ll see the first ones (probably later this year). What we did see was HP's Chromebook 14, one of the first AMD-powered Google computers, which we hope to test soon. There’s lots more to tell. Read on for all the latest developments, plus our top picks in all categories and price points. Update 03/01/2019: We have a new best budget gaming laptop: Acer's Predator Helios 300 manages to balance power and affordability surprisingly well—no wonder it's a bestseller on Amazon. Lenovo's superbly light (but pricey) ThinkPad X1 Extreme earns a spot as our runner-up for the best workhorse laptop. We also summarize the major laptop news to share from CES in January, and review some of the very latest laptops you can buy, including the MSI GS75 with RTX graphics, and Huawei’s Matebook 13 with one of the shiny-new Whiskey Lake CPUs. Last but not least we have a new best thin-and-light, the latest iteration of Dell’s XPS 13, now without the chin cam! AMD announced new Ryzen mobile chips and AMD-powered Chromebooks. Finally some real CPU competition for Intel in laptops. Intel unveiled 'Project Athena,' a partnership with PC vendors to imagine the future of laptops. Athena’s goal is for PC makers to deliver improved performance and battery life (20 hours!) in a thin form factor. Nvidia is bringing its fresh and forward-looking RTX graphics technology to laptops, and we've already tested our first, the MSI GS75. Should you buy an RTX laptop? We argue the pros and cons. A full list of all the laptop announcements from CES would take more time and space than we have here. If you want to catch up, click this link to go to our CES news page, where you can read all about it. It's finally happened. After years of mocking, Dell’s thrown in the towel and moved the camera on the XPS 13 from its unflattering vantage point below the display to its rightful place above the screen. But there're more to the XPS 13 9380 than that. It packs Intel’s newest ultra-low power consumption Core i7-8565U, for instance—the first laptop we’ve tested with this Whiskey Lake U chip. Other changes in the CPU include native support for USB 3.1 10Gbps and integrated Wi-Fi support (except for the radio). Don't worry about the price. The version we tested had everything on it, but lower-cost models are available. Read our review. Acer’s Aspire E line has been popular for years, and you can see why when you look at the bang-for-buck. The latest model sports a few upgrades from the prior generation. Foremost is an 8th-gen Intel Core i3-8130 CPU, which is an entry-level dual-core chip, competent for mainstream use. You also get 6GB of RAM, a 1TB HDD, and an 8X DVD drive. It stacks up nicely as an everyday workhorse, perfect for web browsing, productivity applications, casual photo editing and even spinning good old-fashioned optical discs. Given its low price, mainstream users may be willing to overlook the laptop’s extra weight, so-so display and lack of keyboard backlighting. But note that if you have any high-demand applications (or a bit of a gaming bug), it would be better to consider one of its pricier cousins, like the $600 Aspire E15 E5-576G-5762. Read our full review. Workhorse laptops need to have enough CPU performance and screen real estate to keep you productive, plus good battery life and portability for long days on the road. 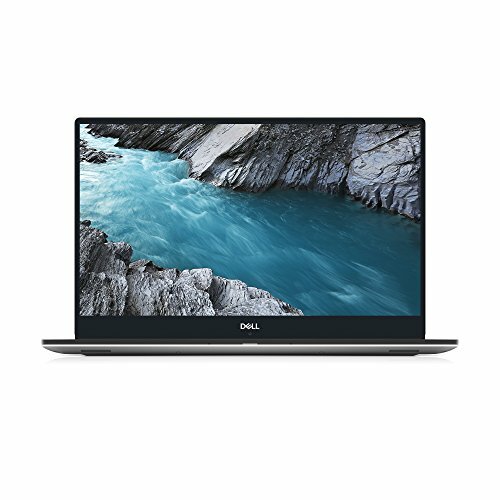 Dell’s XPS 15 9570 (available on Amazon) sets the standard: It’s thin but packed with features, fairly light, and its 6-core Core i7 will keep up with you all day. So will the 97-Whr battery life, which lasted a whopping 14 hours in our video rundown test. The much-lauded XPS design hasn’t actually changed much from prior generations—why mess with near-perfection?—but one highlight is an honest-to-goodness fingerprint reader. Read our full review. The Lenovo ThinkPad X1 Extreme (available from Lenovo) come in a close second to the XPS 15 9570. It packs a six-core Core i7-8850H, GeForce GTX 1050 Ti Max-Q GPU, and a 15.6-inch 4K screen into a package that's a scant four pounds—a full half-pound lighter than a similarly configured XPS 15 9570. That's pretty awesome. Unfortunately because it's slightly slower than Dell's XPS 9570, and pricier than comparable laptops, it misses the top spot. Corporate types may actually prefer it nonetheless because of its vPro-capable Core i7-8850H CPU and other IT-minded perks—and have a fat budget to absorb the premium. Read our full review. While Apple and Dell are content to show up to dance in the same dress year after year, you won’t have that from HP. Just two years removed from its original launch, the Spectre x360 13t (available at HP.com) has now gone through no fewer than three major redesigns. The latest, of course, is the best and adds a fingerprint reader, a nifty rechargeable pen, and of course, an 8th-generation Core i7 CPU too. In raw performance it doesn’t quite keep up with Dell’s XPS 13 but this is a convertible and most convertibles give up a little performance for the ability to work as a tablet. What matters more is that it leaves the 7th-generation Spectre x360 13t in the dust on CPU heavy workloads. The best part is battery life doesn’t suffer (it’s still damned good) and it’s even a couple of ounces lighter to boot. HP doesn’t make the faux pas, or is that port pas, and keeps a USB Type A port along with two Thunderbolt 3 ports that support external graphics. So yeah, it’s easy to see why the Spectre x360 13t is our go to convertible laptop and the one everyone is chasing right now. Lenovo’s latest Yoga 920 (reviewed here) comes close to pushing the Spectre from the top of the President-of-the-Hill contest (‘Murica folks) but in the end, the extra weight of the 14-inch Yoga and the extra cost hurt its position. We call this a runner-up, but you could also think of it as an upgrade. If you want a convertible, but with more screen and more power, it’s hard to beat the new HP Spectre x360 15. 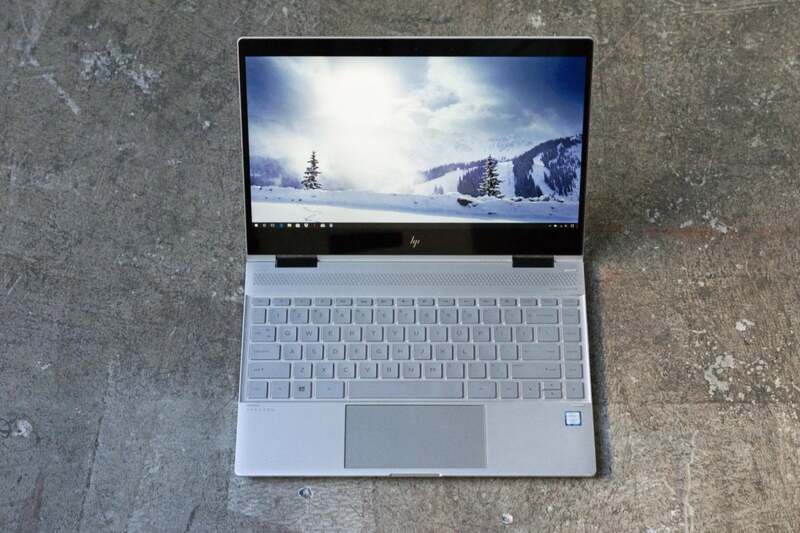 Unlike most 360 designs that either under-spec (and thus lack muscle) or over-spec (with too much hardware stuffed into the design causing inefficiency), HP’s Spectre x360 15 and its newfangled Intel Kaby Lake G CPU doesn’t give up much ground at all. HP actually sells two different Spectre x360 15 laptops that are quite different on the inside. Our recommendation is for the Kaby Lake G version, which gives up some battery life for a lot of CPU and graphics performance (although, if gaming is your primary concern, make sure you see our recommendation for best gaming laptop first). The other Spectre x360 15 is based on the Kaby Lake R and sacrifices some CPU and graphics power in favor of more battery life. The Asus ZenBook Flip might not be quite as elegant and powerful as its primary competition, but it costs a heck of a lot less and can still do the vast majority of the same workloads. 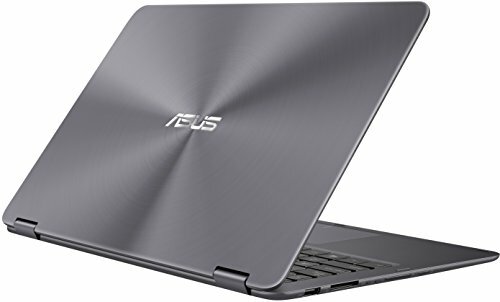 For years, Asus has offered great value in its notebooks, and the ZenBook Flip (available at Amazon) is a strong example of its affordable, high-performing offerings. For $700, you get a fully convertible notebook that can handle everyday tasks with ease. In fact, its pricing and specs are virtually identical to our favorite budget ultrabook, the Asus UX305 (now discontinued). Inside you get a Core m3-6Y30, 8GB of RAM, and a 256GB SSD, and outside there’s a 1920x1080 IPS screen with an anti-glare finish. Yet despite the modest CPU, the Asus ZenBook Flip is fairly peppy. In our benchmarks, it actually outperformed faster (and newer) Core m5 and m7 processors in rival machines during short CPU-intensive tasks. Its storage drive is no slouch, either. This laptop is slender and lightweight, too. It measures 0.54 inches thick and 2.8 pounds, which keeps it in line with more expensive ultraportables. You’re not saddled with chunkier dimensions or extra weight in exchange for a lower price. A couple of compromises do exist: There’s no backlighting on the keyboard, and the trackpad is a tad springy. Still, it’s a good deal in a price range that usually nets you thick, ugly, and plastic. 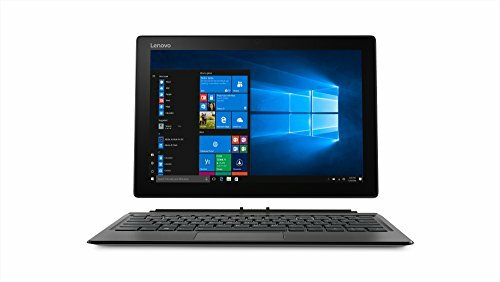 Lenovo's IdeaPad Miix 520 is an outstanding Windows tablet in terms of price and performance, held back only by shorter-than-expected battery life. This category originally started out as the best “Surface” category because, well, for a time, there was nothing like Microsoft’s 2-in-1 / tablet / hybrid device. The best Surface-like device isn’t built by Microsoft anymore, though. Instead, our pick for our top 2-in-1 / tablet / hybrid is Lenovo’s IdeaPad Miix 520 (currently about $876 on Amazon.) Besides being almost affordable, the Miix 520 wowed us because of its 8th generation Core i5 CPU. Yup: That’s a real quad-core CPU in a Surface-like device. Take that, iPad Pro. If you’re turning your nose up at the Miix 520 because it’s “only” a Core i5, just know that in multi-threaded CPU-bound tests, you’re looking at a 36-percent increase in performance over a high-end Core i7 Surface Pro. So yeah, if you thought there was no way you could do CPU-heavy tasks on a Surface clone, you can. There’s a price to be paid for that but you’ll have to read our review for those details. Samsung's Galaxy Book two-in-one provides a surprisingly potent combination of price, performance, and battery life, all wrapped up behind an excellent Samsung AMOLED display with HDR. Samsung’s follow-up to its first 2-in-1 (available at Amazon) doesn’t take any extreme turns off the established path. It’s still incredibly thin and lightweight, and it offers an even more stunning AMOLED screen that supports HDR. But it’s still not quite our favorite convertible, and that’s partially due to Samsung’s decision to sell both a small and a big version of the Galaxy Book. The more affordable, lower-power Core m3 model has a smaller 10.6-inch screen. If you want a 12-inch screen, you’ll have to jump to a starting price of $1,130. Despite these two tougher choices, the Galaxy Book is still compelling. It offers solid performance (including over 10 hours of video playback on the 12-inch Core i5 model) and addresses some of our complaints with the Galaxy TabPro S. You now get two USB-C ports, and the keyboard secures tightly to the tablet. And of course, it has that gorgeous display. So while it may no longer have a huge advantage in price, Samsung still manages to hold its own with a few compelling features. Particularly the included pen—Microsoft’s equivalent accessory is a $100 optional purchase. Keep reading for our top picks in gaming laptops and more.